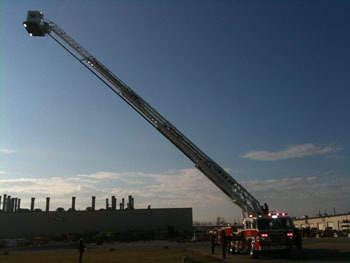 Members of EAFD recently returned from Pierce Manufacturing in Appleton, WI. The trip was for a final inspection of a replacement vehicle. The new Tower 4621 has been completed. It will replace a 1993 Pierce Arrow Ladder Truck which was recently sold. 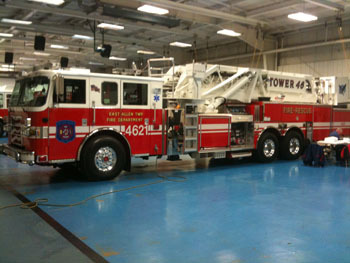 The new Tower is a 2012 - 95' mid-mount platform on an Arrown XT Chassis with a 2000 gallon per minute pump. It has a 300 gallon water tank. 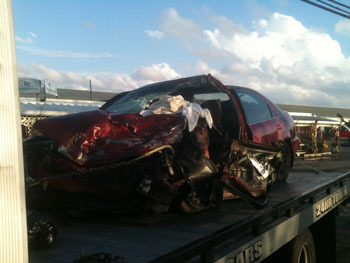 On Friday, October 19, 2012, - At 15:49 hours, EAFD was dispatched to an MVA with one driver entrapped. 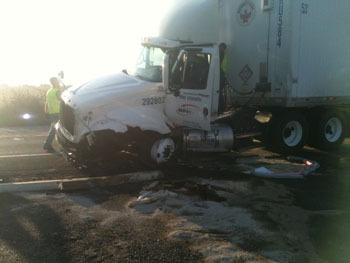 Two vehicles involved including one tractor trailer. Upon arrival crews from Fire 15 (Hanover Twp. NC) had started the extrication on the car. Crews from Rescue 4641 assisted with extration. Crews provided debris clean up and traffic control. The units cleared the scene within 2 hours. On Friday, October 12, 2012, - At 18:50 hours, EAFD was dispatched with Fire 45 (Allen Twp) for report of aircraft down in field along Willowbrook Rd. Assisted with searching the area for the downed aircraft, finally locating it in standing corn. There was no fire and the occupants of the small plane we uninjured. The units cleared the scene within 2 hours. 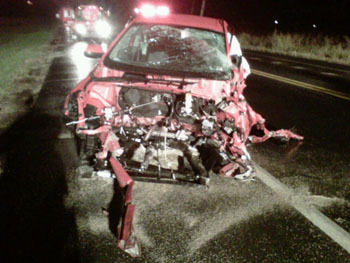 On Wednesday, October 10, 2012, - At 19:17 hours, EAFD was dispatched to a MVA with injuries. Chief 4651 arrived on scene and took Command. Two vehicles involved. Crews from Rescue 4641 and QVR 4642 provided debris clean up and traffic control. The units cleared the scene within 30 minutes. 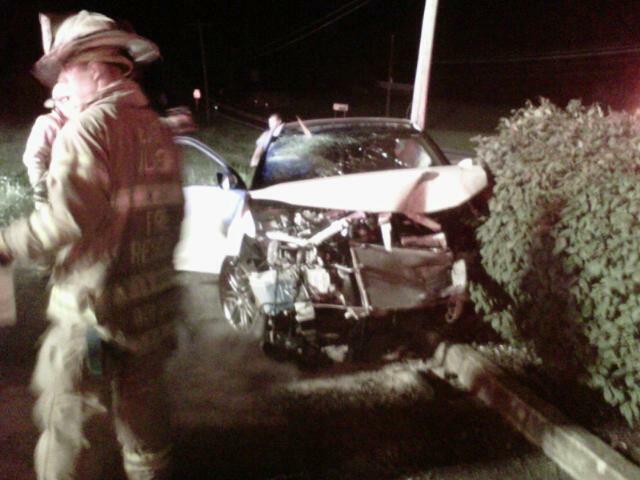 On Tuesday, October 9, 2012, - At 19:23 hours, EAFD was dispatched to a MVA with entrapment and fire. Chief 4651 requested Fire 15 (Hanover NC) for a full response. Fire Marshal 4660 arrived on scene and took Command. Command updated that there was no fire and no entrapment. Two vehicle MVA invoving a tractor trailer and a passenger car. Crews from Rescue 4641, Engine 4611 and an engine from Fire 15 assisted with spill control and debris clean up. The units cleared the scene within 1 hour 32 minutes. 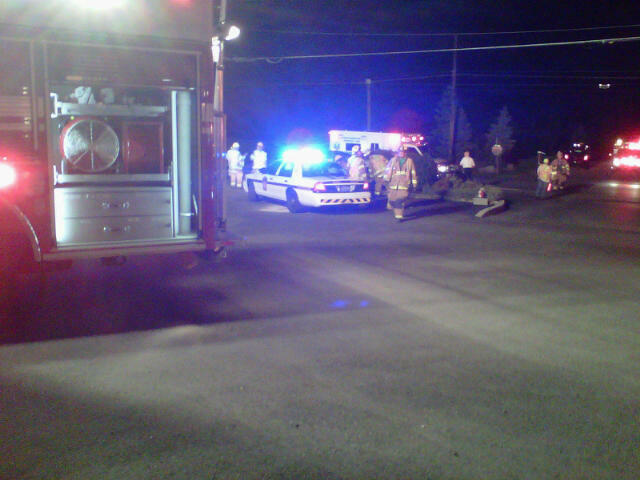 On Tuesday, August 28, 2012, - At 21:30 hours, EAFD was dispatched to a MVA, vehicle into a pole. Rescue 4641 and QRV 4642 responded. Upon arrival found two patience out of vehicle. Firefighters did a battery disconnect and spill cleanup. The units cleared the scene within 1 hour. 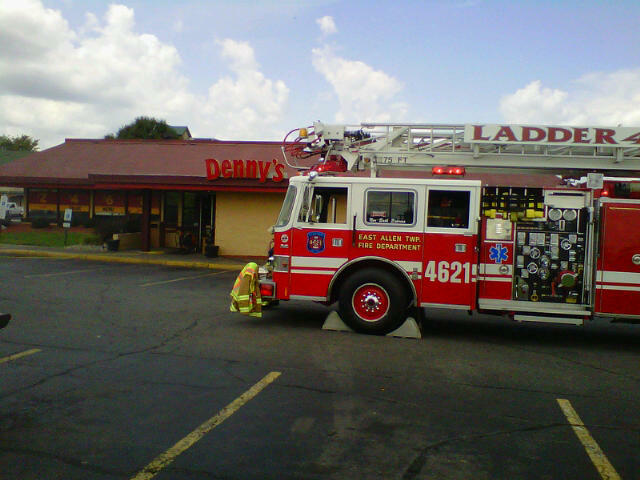 On Tuesday, July 30, 2012, - at 12:05 hours, dispatched for Ladder 4621 to assisted Han-Le-Co Station 33 for a structure fire at Denny's Restaurant. Crews from Ladder 4621 assisted with ventlation and cleared within 1 hour. 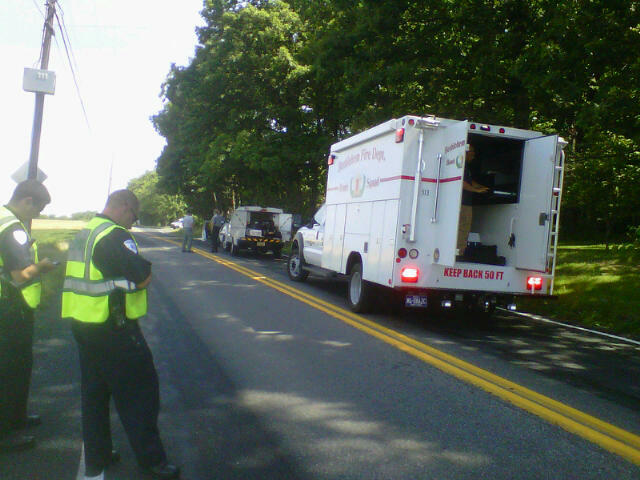 On Wednesday, July 18, 2012, - at 15:30 hours, dispatched for a wires with fire on Locust Road. Crews from QRV 4642 controlled traffic. The units cleared the scene after 7 hours. Nothe the unusual cloud formation seen at the time. On Tuesday, July 3, 2012, - at 09:17 hours, we were dispatched for a suspicious device. The device was real but had already been deactivated and an X-ray by the bomb squad showed the device to be harmless. The units cleared the scene within 2 hours. 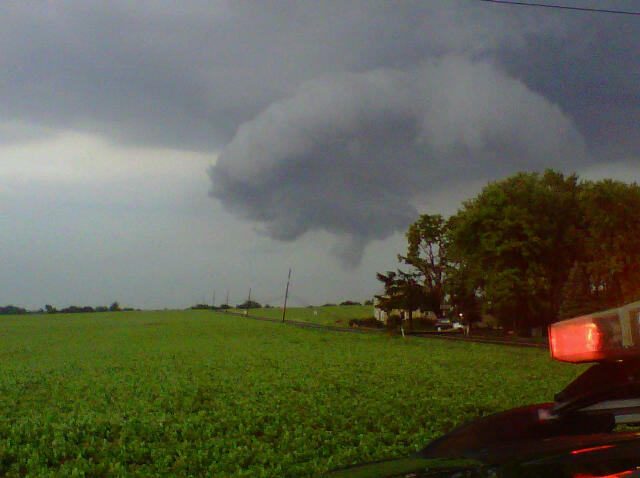 On Friday, June 22, 2012, - at 16:24 hours, we were dispatched for storm damage. A thunderstorm went thru the area with a strong gust front causing wind damage to certain areas. As a result a Disaster / Emergency was declared on Friday, June 22, 2012. There was major damage done to the village of Jacksonville. Many trees, wires, poles, roofs and motor vehicles were damaged. The emergency units cleared the scene within 4 hours; however, clean up efforts continued for several days. On Wednesday, April 11, 2012, - at 20:09 hours, we were dispatched for a pole fire. Chief 4651 arrived on scene and took command. Crews from Engine 4611 and QRV 4642 were arrived on scene. Before MedEd arrived on scene, the pole burned the wire support and caused an arc flash. Then, power went off in the area. MedEd arrived on location and extinguished the remaining fire. The units cleared the scene within 1 hour.